Vitamin B6 is involved in the synthesis of brain chemicals (neurotransmitters) which can support positive mood and behaviour. Why use Quest Vitamin B6? Long term intake of this amount of B6 may lead to mild tingling and numbness. 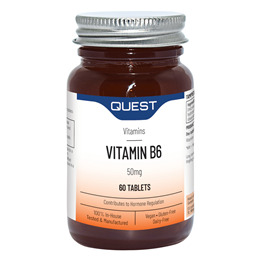 Below are reviews of Quest Vitamin B6 - 50mg - 60 Tablets by bodykind customers. If you have tried this product we'd love to hear what you think so please leave a review. 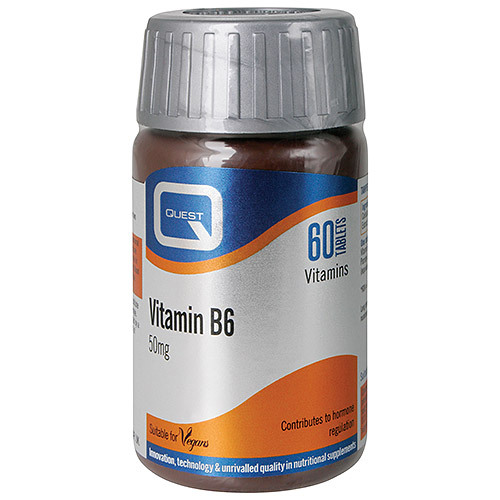 Quest Vitamin B6 is a high quality vitamin B6 supplement. Vitamin B6 is involved in the synthesis of brain chemicals (neurotransmitters) which profoundly affect mood and behaviour.